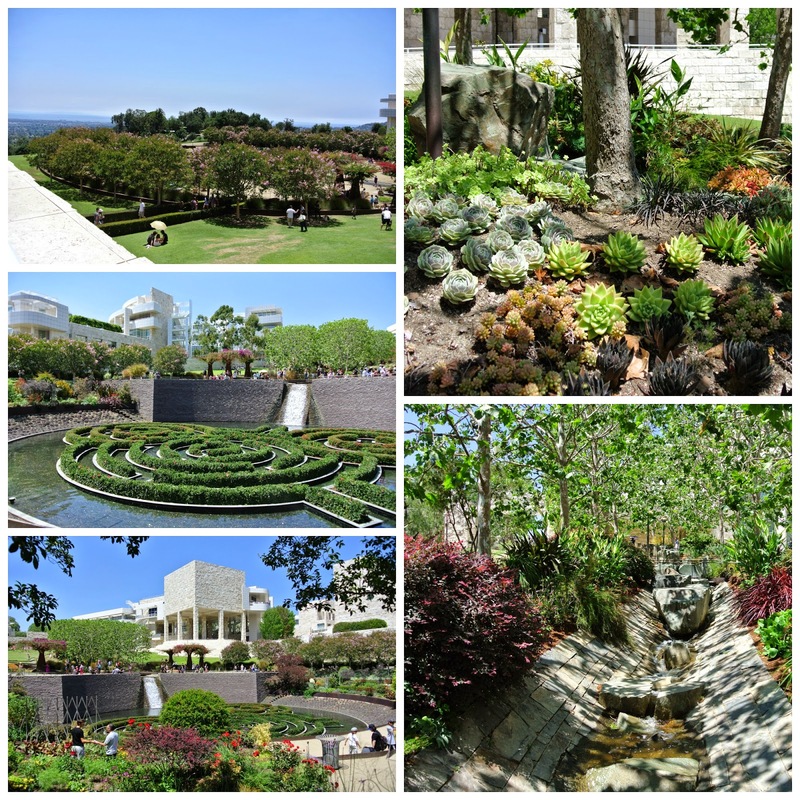 The Getty Center is a massive multi-building art museum full of every kind of art you can image. 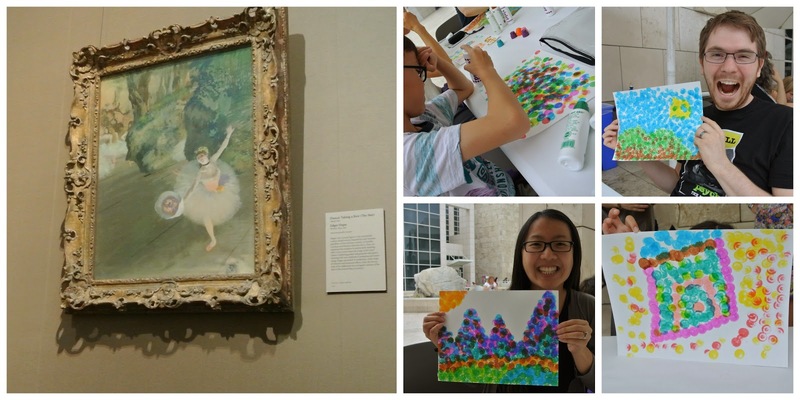 To get better acquainted with the place, the first thing we did was attend a family guided tour which led us through some pastel paintings including the ballerina one which we focused on. The kids answered questions about what they saw and then we were given dot markers to make our own impressionist art. It was a nice introduction to art for them and we were able to better understand the layout of the place. They had lots of scheduled tours and self-guided audio tours, but we decided to just go through everything ourselves. We did take the kids to the Family Room which had some activities and the kids were able to play for awhile while Andrew and I supervised. There was a wait to get in because of the limited amount allowed in, but that made it so it wasn't crowded inside and the kids got a chance to do everything. 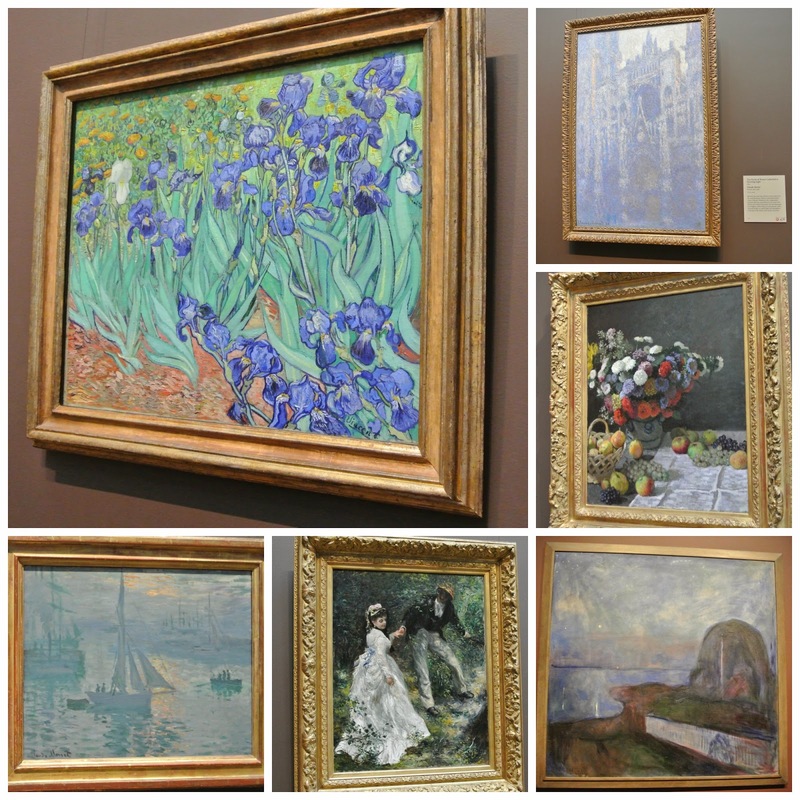 We went through almost every building to see all the different exhibits and were pleased to learn that they have an original Van Gogh as well as other well-known artists' works. Andrew isn't a huge fan of the impressionist style, but he really liked the Portal of Rouen Cathedral in Morning Light (the top right painting in the photo above) by Claude Monet. My favorite exhibits of everything we saw was either the Ansel Adams exhibition that we were fortunate enough to be there for and the decorative arts in the South Pavilion which featured elaborately decorated 18th century European rooms. I've been an Ansel Adams fan for a long time and it was really cool to see how his style evolved and to read more about him. 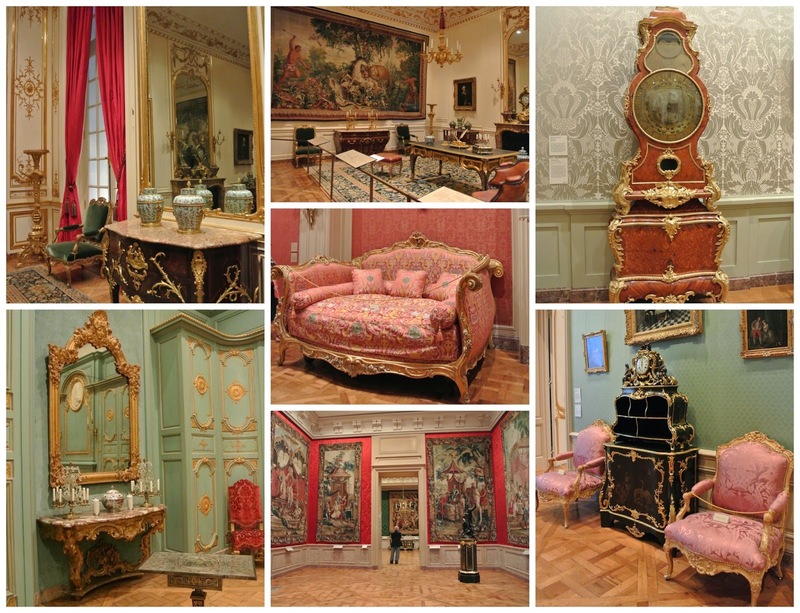 The decorative arts in the South Pavilion was just spectacular. 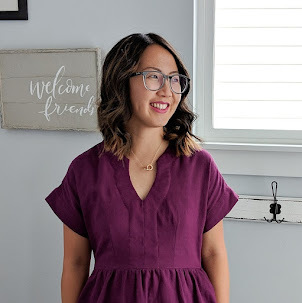 I enjoyed seeing all the detail on each piece and seeing them all styled in different rooms and settings. 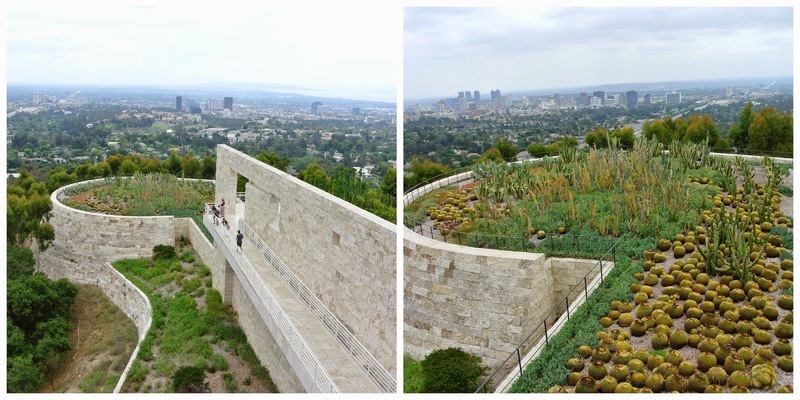 The Getty Center featured art everywhere. In additional to the 5 pavilions of artwork, the architecture was stunning and the gardens were absolutely beautiful. The Central Garden was so much fun to wander through. This was definitely a highlight of the day with the amazing landscaping and views overlooking the city. 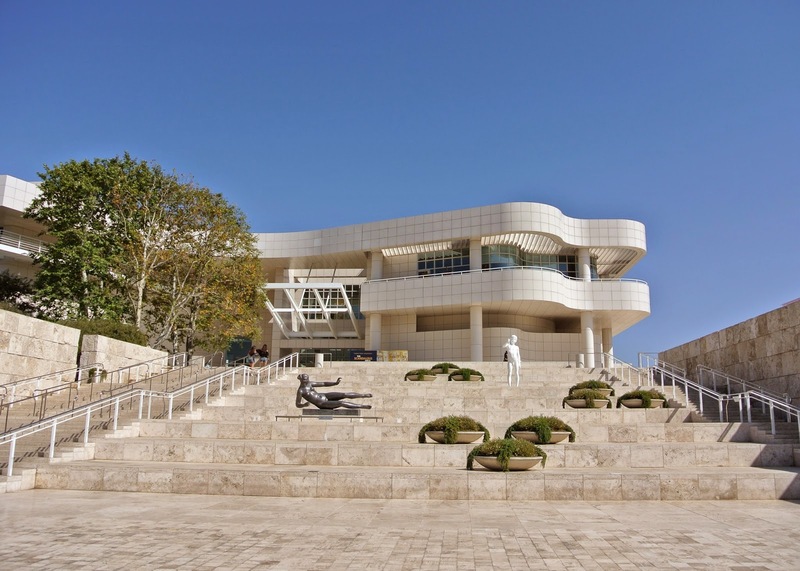 We stayed most of the day at the Getty Center and we could have stayed longer, but we decided to give ourselves some time to drive around the city before dinner. We drove through the city and saw all the massive movie billboards and glimpses of the Hollywood Walk of Fame concluding that we hated driving through the city. We had dinner that night with my family in Los Angeles which was a great ending to the day.